The topic of toilets rarely comes up in casual conversation, until the household toilet starts to leak, gets damaged, or has some other kind of functional or physical problem. 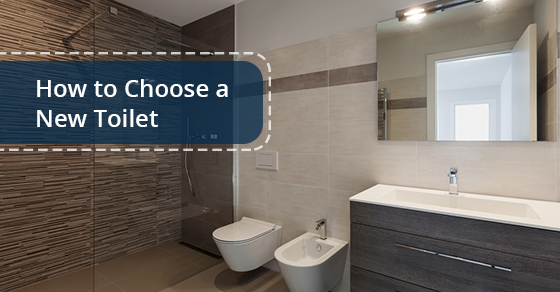 Unless you’re personally involved in the selection and installation or replacement of your own toilet, many people don’t quite appreciate the variety of toilets on the market, with different designs, colours, modes of operation, and many other variables that make choosing a toilet just as tough as selecting any other fixture in your home. With toilet manufacturers looking to satisfy as many customer needs as possible, you are likely to find a toilet that not only fits the size of your space, but also offers low-flow water-saving features, different heights, shapes, and materials, the option for custom styles and colours, and many extra features, at widely varying price points. Today, the term “standard” only refers to a few toilet features, such as the gravity-flush system, white colour, and typical toilet size. But there are still many other factors to consider, and customers are expected to know their preferences to help narrow down their options and make the toilet selection process easier and faster. If you choose a toilet-based solely on the lowest price, then you’ll probably get what you’re paying for, with substandard working parts and low quality of glazing, resulting in additional costs due to frequent maintenance and repair, and eventually early replacement. But if there’s a deal for one of the good options with the specifications and features you’re looking for, then choosing the one that gives you the most savings seems like the rational thing to do. Rough-in – The distance from the wall behind the toilet to the centre of the back bolts at the base of the toilet. This measurement is typically between 11 and 13 inches for a standard toilet design. If the rough-in does not fall within this range, then you should look for a toilet that’s designed for that specific distance. For instance, 10 inches, is quite common in smaller bathrooms. Distance to other items – If you want to upgrade from a small, round-bowl toilet to the longer (elongated) bowl, make sure that the change won’t interfere with your ability to access adjacent doors and cabinets. Measure the distance to the bathroom door, shower door, nearby cabinet drawers, and other permanent features that could prevent proper access and use of the toilet. Pressure-assist toilets are an innovation that aims to improve water efficiency. They come with a separate inner tank that holds the water under pressure, and releases it with increased velocity in order to remove all the waste with a single flush. Pressure-assist models also solve the problem of sweating, dripping tanks, because they hold water within an inner tank, which prevents the outer tank from sweating. Alternatively, for a little extra money, you could order a gravity toilet with a factory-installed tank insulation. 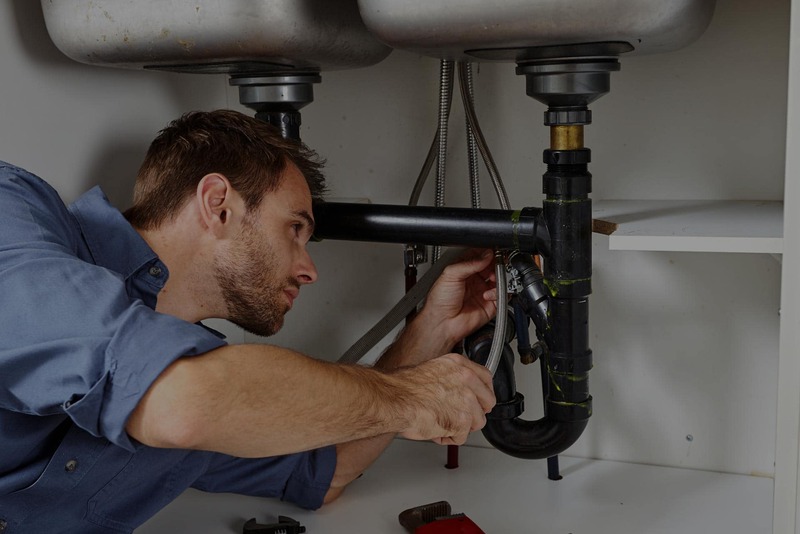 While you may be drawn to some high-pressure models designed to provide exceptional, no-clog flushing action, you should also consider whether you can handle the noise level, as well as the quality of the mechanism in terms of maintenance and repair requirements. The flushing technology used affects both the quantity of water used and the noise level when you flush. Modern low-flow toilets are designed to use less than 1.6 gallons of water per flush (gpf), so you need to compare the flushing performance across different manufacturers and specific toilet models. You can do this online by searching “toilet testing” and reading consumer reviews and reports. Considering that toilets use about one-third of all your household water, you should consider buying high-efficiency toilets (HET) with a rating of 1.28 gpf or less. These toilets usually carry a WaterSense label from the EPA, and can help save about 4,000 gallons per person per year. You might also want to check whether there are any rebates available for specific types of toilets. That said, you should always remember to check the reviews before buying any toilet. There have been a few complaints about clogging and staining with some HETs. One-piece toilets – This design features a tank and bowl integrated into a single unit. Although they’re expensive, they’re also easier to clean and more attractive for your space. Two-piece toilets – This is the most common design, which makes it less expensive. It features a tall tank that’s separate from the bowl. Bowl-shaped – There are three basic options for the bowl shape. Elongated toilet bowls allow for deeper seating in a spacious bathroom. They are also more comfortable and best for hygiene. Compact-elongated bowls have a shorter footprint for small bathrooms. Round-front bowls occupy the least space for areas where space is at a premium. If you want to change your toilet design, make sure to measure the dimensions of your space first to ensure a good fit. Seat height – The typical bowl height (from the floor to the top of the bowl – minus the seat) is 14 to 15 inches. However, you may consider added height – 16 to 18 inches – to make it easier to get on and off the bowl. Type of flush handle – The flush handle can be located on the right or left side of the tank, on the top lid, or elsewhere. Some also have sensors for touchless flushing, or electronic remote-control mechanisms. Some models also feature dual-flush buttons for partial or complete flush. Toilet trap configuration – The trap can be exposed and visible from the side, or concealed by the design of the feature. This is a purely aesthetic concern depending on whether you want a classic-style bathroom (visible trap) or a contemporary bathroom (hidden trap). Although uncommon flush mechanisms, bidets, nightlights, Bluetooth, and custom, soft-closing seats might sound like great additions, they can lead to extra costs and frustration when it comes time to replace them. Even when choosing custom features, make sure that replacements are readily available for repairs or to make the toilet more standard when you decide to sell your home. You will be using your toilet multiple times a day for years. So it’s important that you choose a modern, quality, low-flow toilet with the appropriate design, such as large flush valves that give a powerful rush of water when entering the bowl, large trapways to avoid clogging, or pressure assist models. Also, don’t limit your options to only the toilets available at your home centre. They’re unlikely to have most of the top-ranked toilets in order to make their own products available. So, do thorough research and ask your plumber for recommendations.